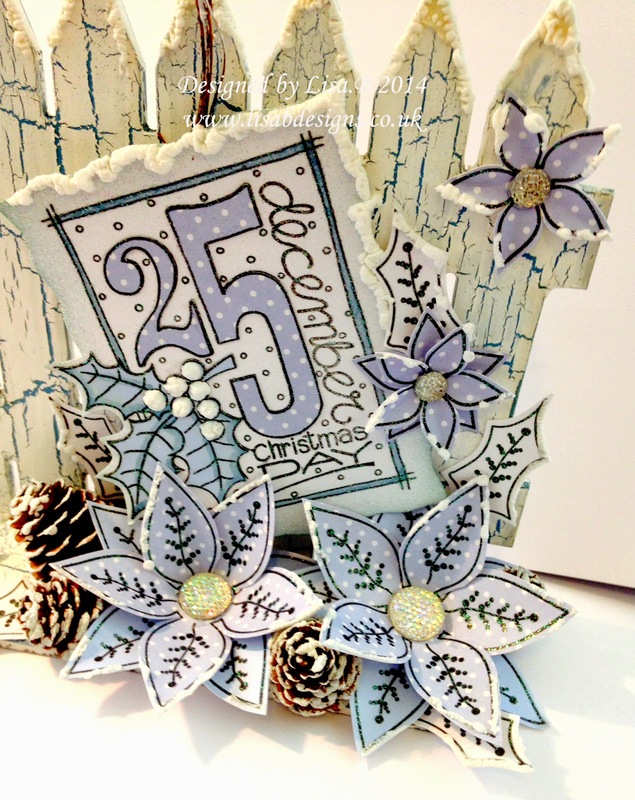 I have something a little more special to show you today, this was a sample that I made for the last class and it combined the previous months class of Crackle with this months Christmas theme. I used one of the Anna Marie Designs stand up Fences and firstly painted it with Martha Stewart Sea Lavender Paint, once it was I then added a layer of Imagination Crackle Medium and let this dry. I found some small cones on the way to the post office the other week and I dried them out and dipped my finger in white gesso and then added it to the edges of the cones to make them snowy. 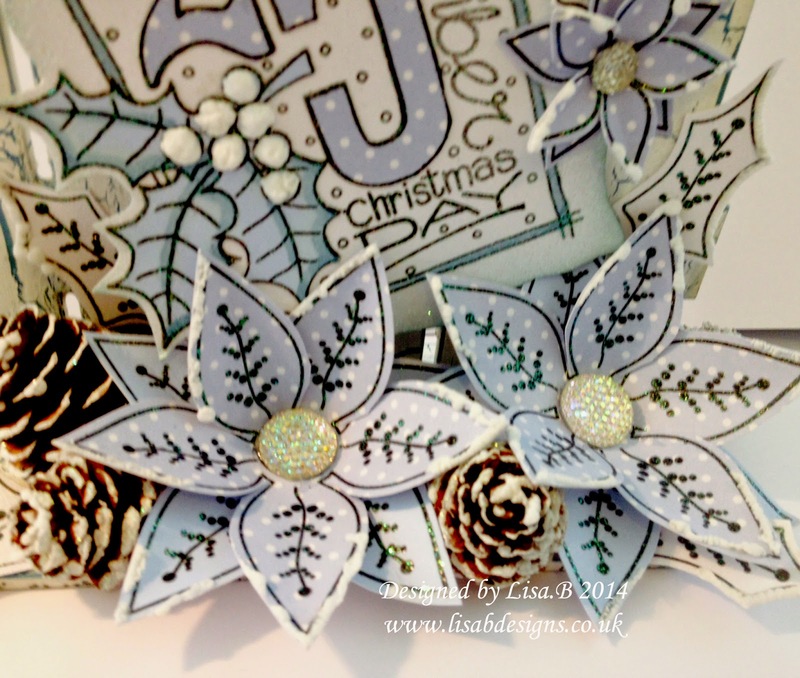 So pretty , looking forward to making one of these or similar at the December class. 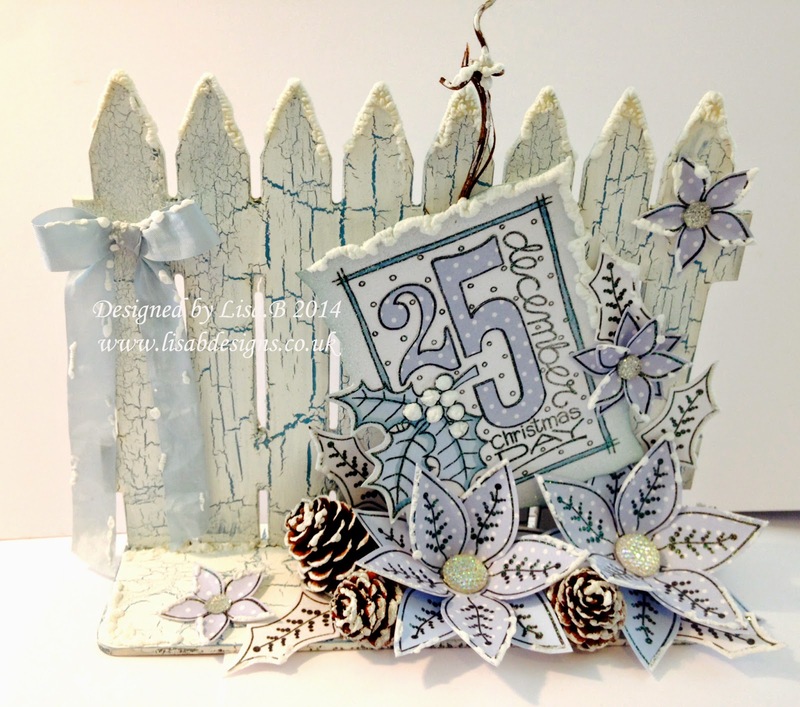 Stunning fence, love the crackle, the puffy paint that gives a perfect snow impression, the poinsettias and the colour scheme is lovely and fresh! Wow, this is stunning. Gorgeous snowy scene, love the crackle fence and the poinsettias.